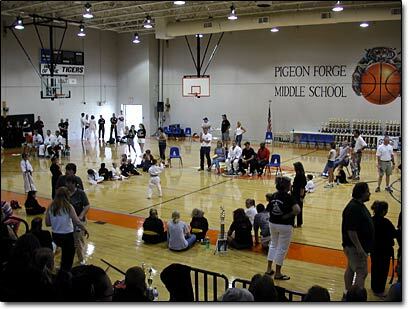 Tournament this year is back at Pigeon Forge High School where the gym has been expanded. Click here for mapquest directions. The tournament will be held June 8th 2019 at the Pigeon Forge High School in Pigeon Forge, TN. The first place winner of each event will hold the world title for Karate for Christ for the year in that event. We will also have an overall World Grandchampion that will receive a Grandchampionship Belt. The person with the most points at the end of the tournament will receive this belt. This tournament will be held every year. Contact number 865-654-9791. Sanctioned by Karate for Christ.